Your bedroom is a room where everything should be just right, whether that means picking a matching bedroom furniture set, or individual items strategically chosen to complement your bedroom design. Which furniture to buy for your bedroom? If you’re starting with a blank canvas, you’ll need to get the basics in order first. Beds, bedside tables, wardrobes and chests of drawers should be at the top of your priority list. 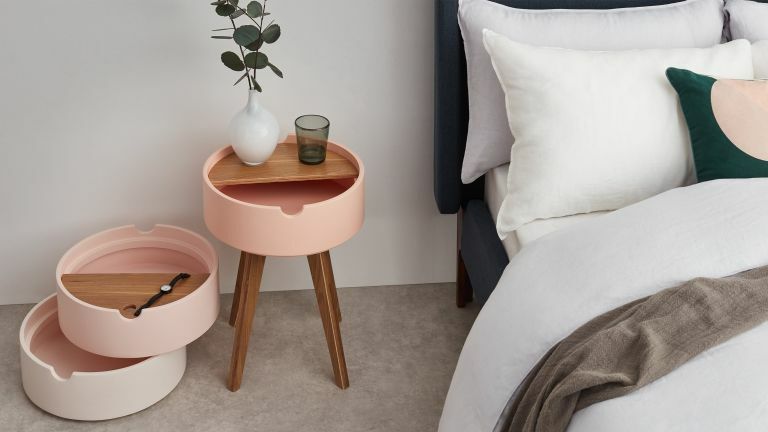 Once you've chosen those, you’ll know how much space you have left over for complementary items, such as a dressing table, a desk or even an ottoman for the end of your bed. Where to shop for bedroom furniture? While buying a bedroom furniture set is a cost-effective way of decorating your bedroom, unique items allow you to channel your artistic flair and really make your bedroom your own. If buying a bedroom furniture set is your chosen option, retailers like Wayfair and John Lewis offer plenty of choice… perhaps too much choice if you don’t quite know what you’re after! On the other hand, if you’re looking for statement bedroom furniture, online retailers such as MADE and Not on the High Street are the go-to places for unique items that will make your bedroom stand out from the rest. Our list features a selection of traditional furniture sets and unique statement pieces. Those who love a traditional bedroom design may want to take a look at our Three Posts Hamptonburgh Oak Bedroom Set from Wayfair, while those who would prefer their room to have a modern edge may want to consider our Hokku Designs Khabat Bedroom Set for clean, white lines. For that statement piece, the Classic Five Drawer Dressing Table is a must for anyone with a penchant for shabby chic, while the feminine Cairn bedside table will really make your bedroom stand out from the crowd. When it comes down to it, searching for bedroom furniture is actually pretty hard. Quite a lot of the time, you know what you want, but it’s finding what you want within your price bracket that is the most difficult part of the search. Finding bedroom storage furniture that suits your taste can be even harder. We’ve selected a range of furniture to meet various price brackets, so you know where to head to find your perfect piece. A deliciously comfy bed from bread-inspired brand, Loaf, this pick ticks all the boxes when it comes to finding your main event. As with a perfectly baked Brioche, the little things count. Finished with brushed cotton fabric and weathered oak feet, there’s plenty of details in this bed that make it the best of the batch, and with nine soft colours to choose from, creating your colour palette, and sticking to it, has never been easier. Browse all our favourite kingsize beds. Whether it’s a side for you and a side for them or you’re expansive clothes collection will take up the entire wardrobe, there’s no denying that this contemporary unit provides plenty of space. In addition to the four shelves, you can purchase additional storage options from Habitat to customise your wardrobe to your needs. Featuring a wooden interior and a white glass front, this wardrobe is hugely versatile, with its neutral style complementing a range of colour palettes. If you’re looking for a good starting set, especially for a small bedroom, this oak bedroom furniture collection is the perfect choice. Featuring a two door wardrobe, a four drawer dresser and a three drawer bedside table, you have all the storage space you need with just these three items. Made from American white oak, they’re very durable, and with plenty of other furniture bits within the Hamptonburgh range, keeping everything in sync shouldn’t be a problem at all. There’s no denying that this French inspired dressing table is incredible unique. If you’re looking for that statement piece, the amount of detail that has been implemented to create the finish of this dressing table sure sets it apart from the rest. From its distressed finish, curved legs and embellished drawer fronts to its antique rose handles and off-white finish, this dressing table is very worthy of its price tag, and with its solid mahogany body, should last for many years to come. See more dressing tables for all styles and budgets. If you’re looking for a stylish set of furniture on a budget, this white set with a high gloss finish from Khabat, may be just the thing. White is a great choice for darker bedrooms as it reflects light back into the room, while the wardrobe, although big, has a mirrored front to create the illusion of more space. With five drawers and a three-door wardrobe, there’s plenty of storage space, just bear in mind that you’re going to have to put the whole thing together. Taking inspiration from French neoclassical lines, this design of this chest of drawers combines vintage and traditional styles for a completely unique piece of furniture that features stunning detailing. From the intricately carved corner detail to its shapely legs and linear styling, if you’re looking for furniture that is beautifully unique but not too far off traditional, this chest of drawers will certainly fit the bill. Ideally, a bedside table should be around the same height as your bed. Whether you’re bed is low or high, the Cairn bedside table from Made is completely adjustable – you can choose how many units you want to stack on top of each other, and you can store items in each of the units. Units are neatly covered, so you can keep on stacking until you reach your required height; the only niggle is you’ll have to remove the above sections if you need something stored away in the bottom unit.